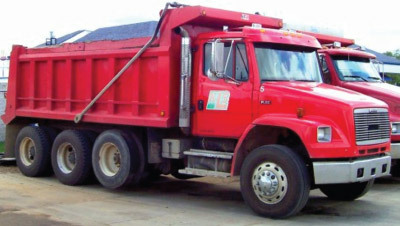 Michigan requires loose bulk loads to be covered when transported on public roads. Tarps and bungee cords are used to accomplish this. Tarps are also useful for gathering yard waste from around the house following trimming and spring/fall cleanups. Tarps can also be used to put on the bottom of a pickup truck bed before the bulk material is dumped in to aid in cleanup. 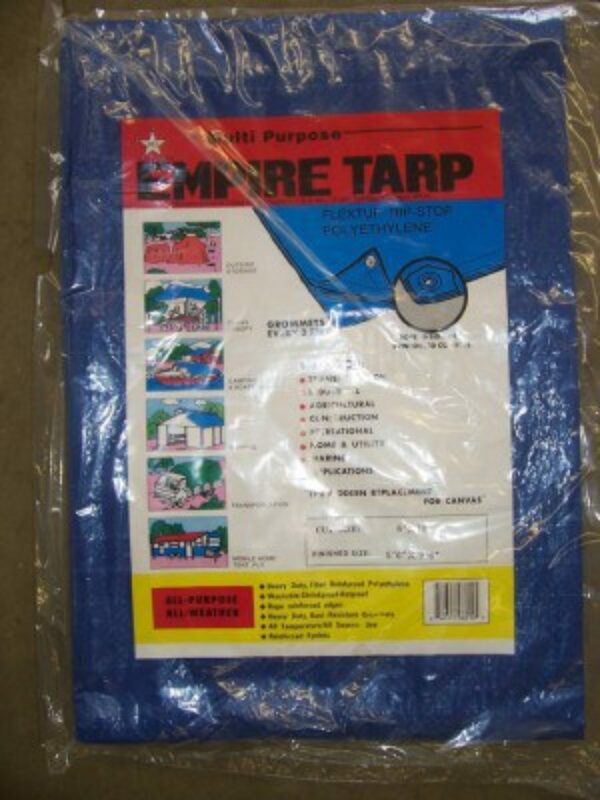 Tarps can also be used when digging small holes in the yard for irrigation maintenance or downspout burial projects. The tarp is placed next to where the hole is to be dug in the lawn. A chunk of turf removed from where the hole is going to go and is put aside on the tarp. Next the topsoil is taken out and piled on the tarp. Finally the subsoil is dug out and put in a separate pile on the tarp. Once the fix or installation is done the hole is filled. First the subsoil is put in, then the topsoil then the turf is put back as needed. Extra soil and turf can be dragged away without making a big mess of lawn in the work area. Brooms are handy to clean up after a project. When bulk, soil, mulch or stone is dumped on the driveway and then moved to its resting spot the driveway should be swept up. In general the smoother the surface for which the broom is primarily used for, the softer the bristles should be. 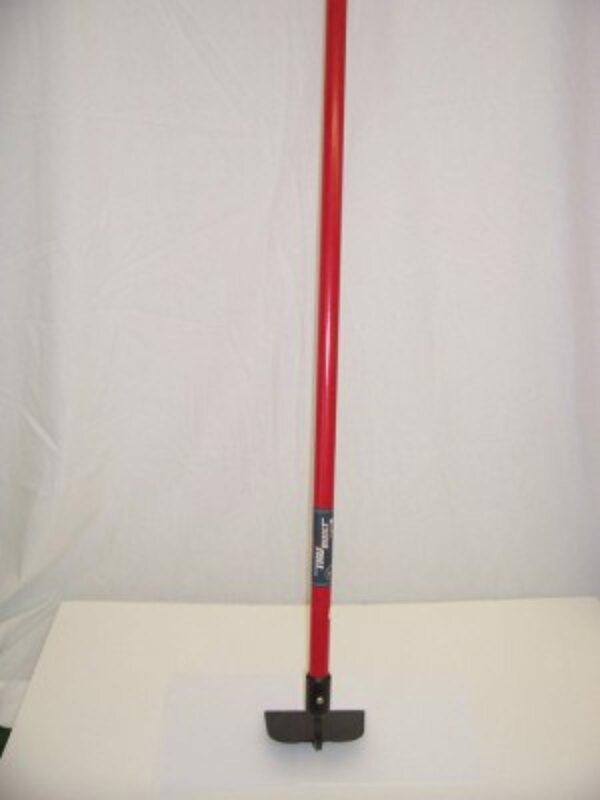 Most often brooms are used in the garage and occasionally used on the driveway. Braces are a good sign of a better quality broom. Good brooms last a long time. These bungees work well for strapping down tarps. 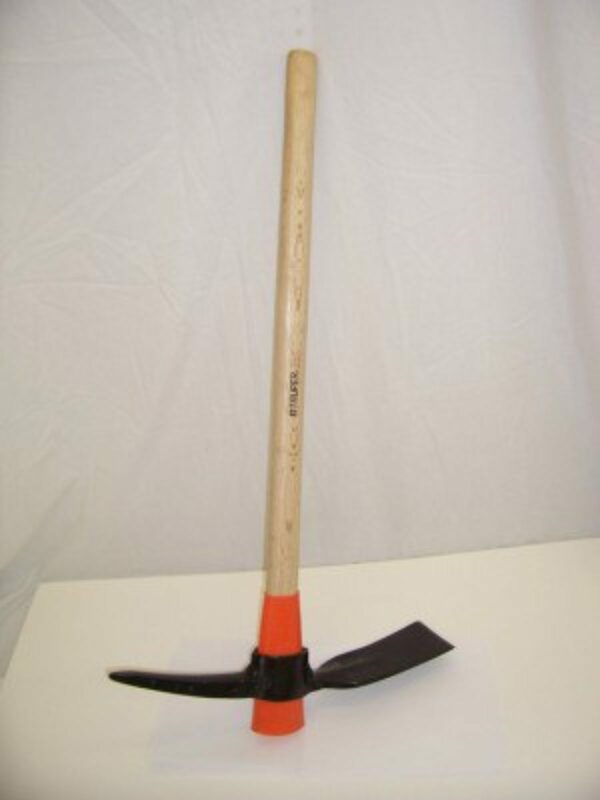 Hoes and cultivators are tools used to work-up or loosen hard soil. This is done to assist with weed removal, and to make the soil a better home for plantings. 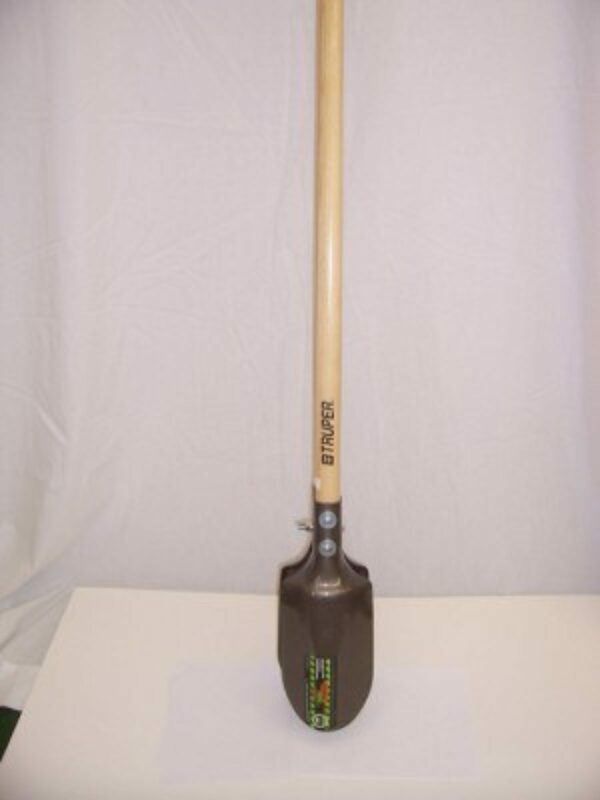 Posthole diggers are for digging deep narrow holes for burying posts. 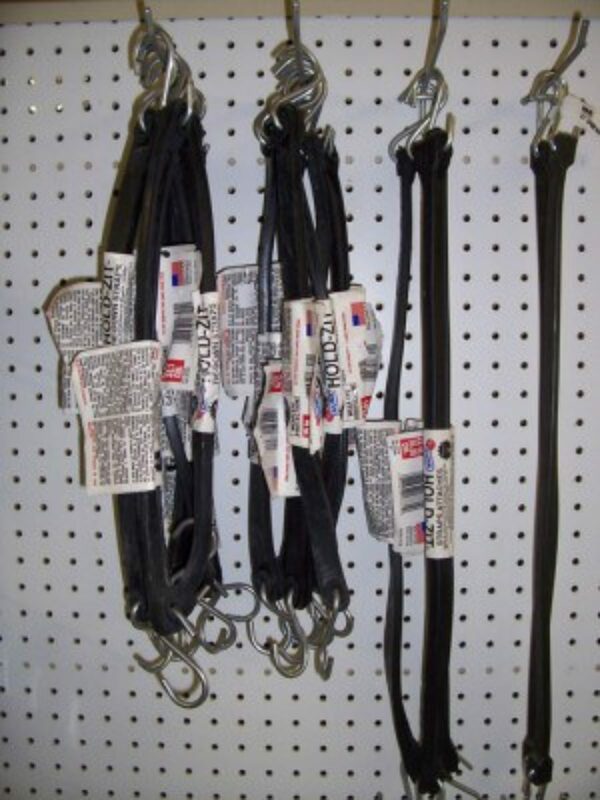 These can take some abuse as they are thrust down, especially in hard soil. It is a good idea to get a decent one, don’t buy the cheapest one on the shelf. 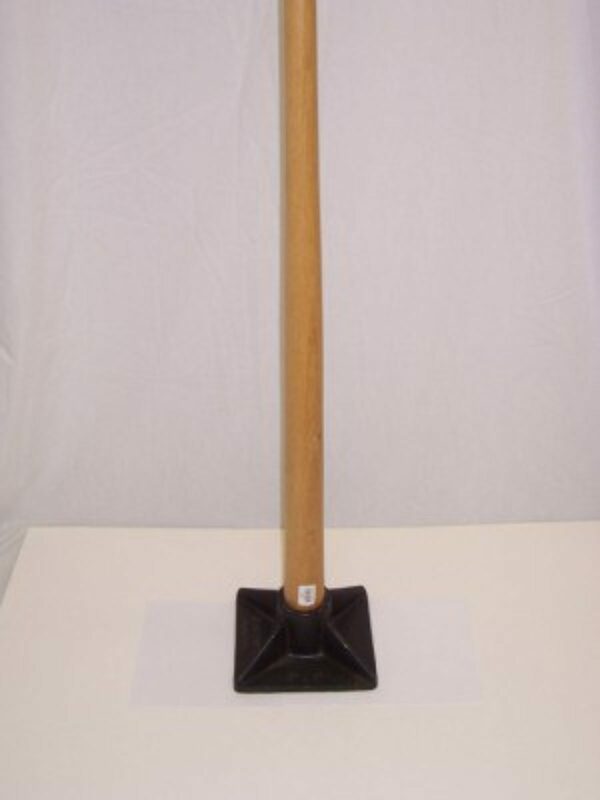 Tampers are heavy flat bottom tools which are used to compact soil and subsoil underneath retaining walls, patios etc. 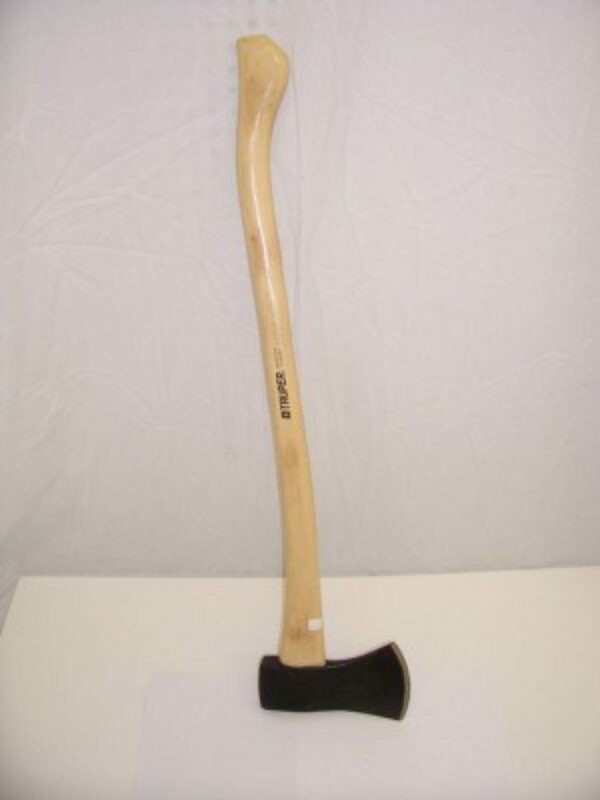 Axes are handy to battle roots in construction areas. A root which inhibits installation of a landscape component such as edging, patio or walkway can be removed with some blows from an axe. Picks and Mattocks are used to loosen very hard earth in areas where landscape products need to be installed. 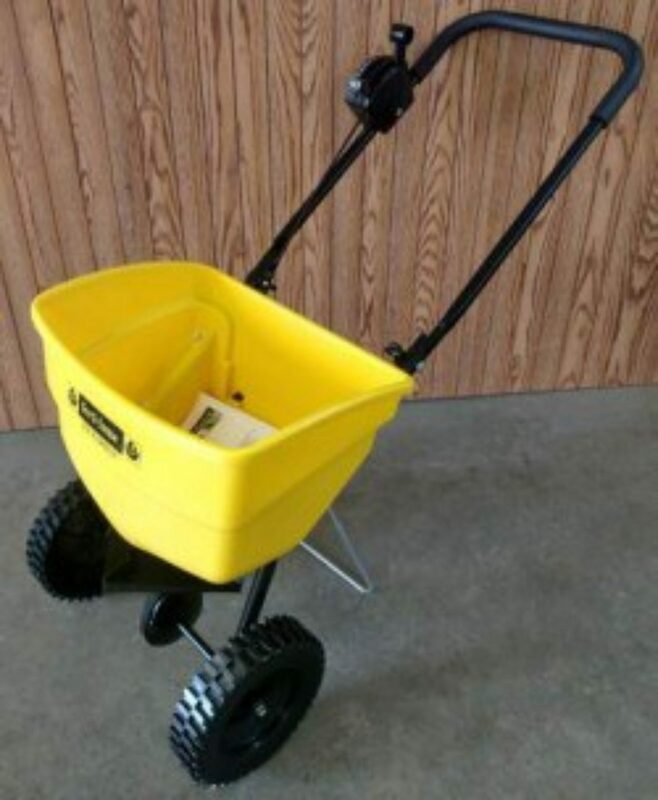 Used for even spreading of fertilize and other organic and inorganic materials on lawns. 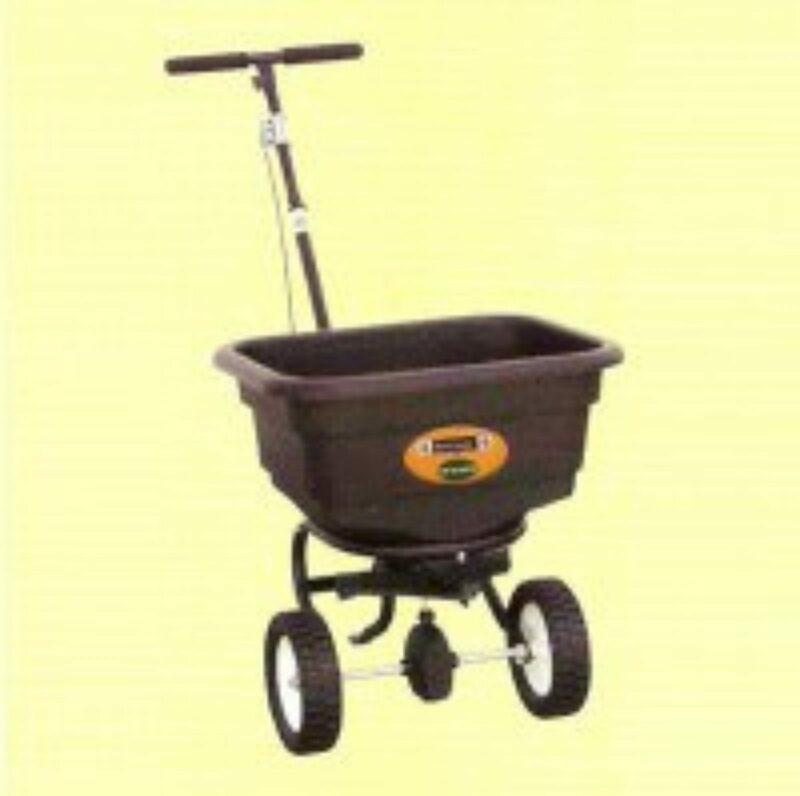 Fertilome Push Spreader - 25 lb. capacity. Rust proof hopper. Fully assembled. Ev-N-Spred 3-Hole drop system. Cushion grip handle. 8" plastic wheels. High speed gearbox for wide patterns. Rustproof poly 110 cubic inch/ 1.8 liter capacity. Adjustable rate control. High-speed hand crank gearbox. 5-year Limited Warranty. 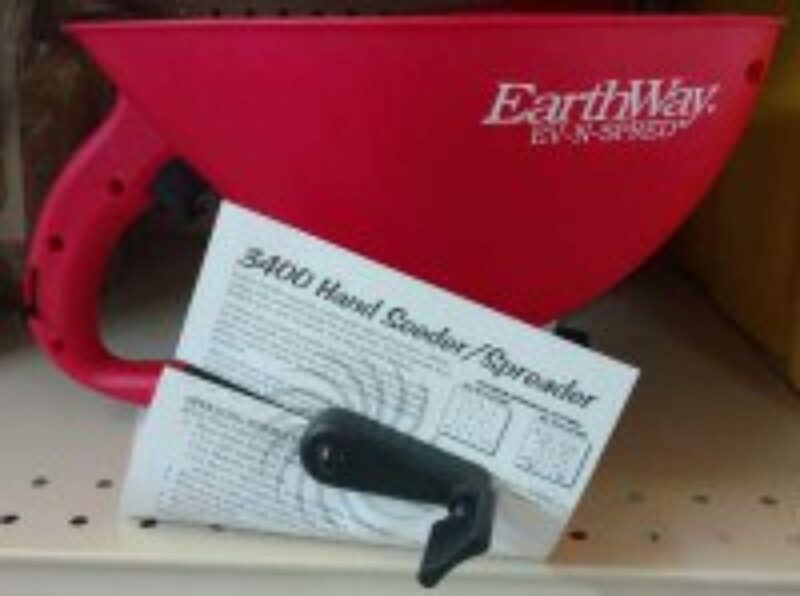 Ergonomic handle and scoop front design. 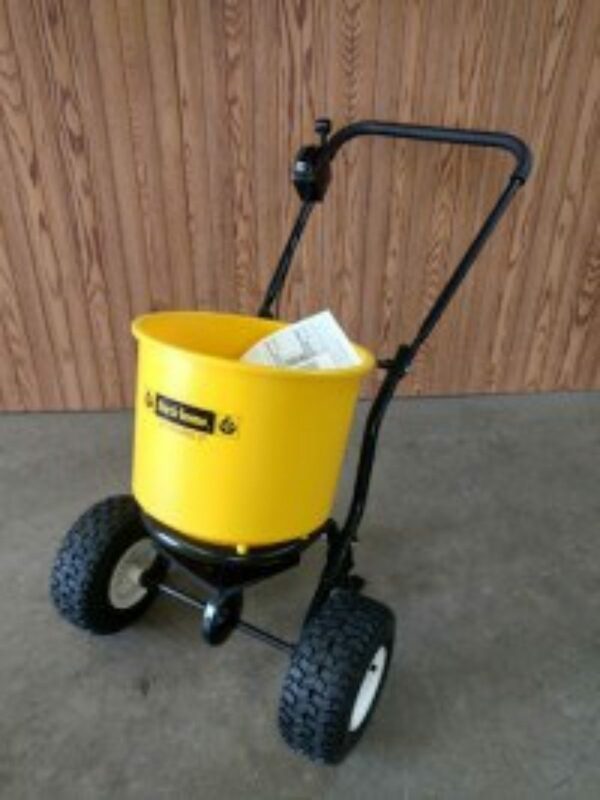 Fertilome Push Spreader - 40 lb. Rust proof hopper. Fully assembled Ev-N-Spred 3-Hole drop system. Cushion grip. 9" Pneumatic rubber wheels. High speed gearbox for wide patterns.